The Society of Sylphs is a delightful novel about autism, family, love, and mystery. 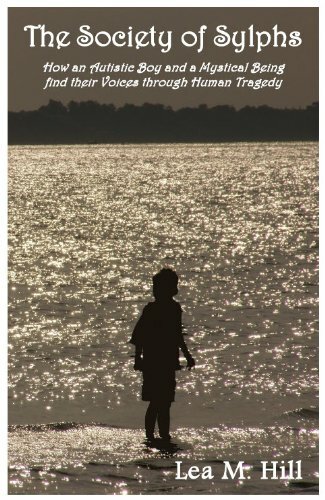 This captivating and moving story narrates the complex bond and beautiful friendship that develops between Luranna, and invisible being from the mystical realm of sylphs and Eddie, a bright, 12-year old, nonverbal boy with autism, as they synergistically solve a crime and bring closure to a human tragedy. A well-written, hard-to-put-down, tug-at-your-heart book, to be read, shared and discussed by parents and children alike. Leah M. Hill* is an author, intuitive medium, energy healing practitioner, and sacred geometry specialist. She offers private readings and has presented workshops at Lily Dale Assembly and several venues around New England. Leah holds a B.S. in Marketing and an MBA from Northeastern University. She is also a Reiki Master, Certified Angel HealingPractitioner©, and a Vortex Healing® Energy Healing Practitioner. * The Society of Sylphs was originally published in 2013 by "Lea M. Hill" but the spelling has been changed to "Leah M. Hill" for all future work.